The beach at Sayulita--the surf is similar to Cardiff Reef. Mellow reef and rivermouth cobble semi-point. I arrived at the Puerto Vallarta airport after a short flight from San Diego and was immediately whisked away by Darrin Polischuk, a filmmaker who I had first met when he lived in northern Baja. “The surf should be fun,” said Darrin. 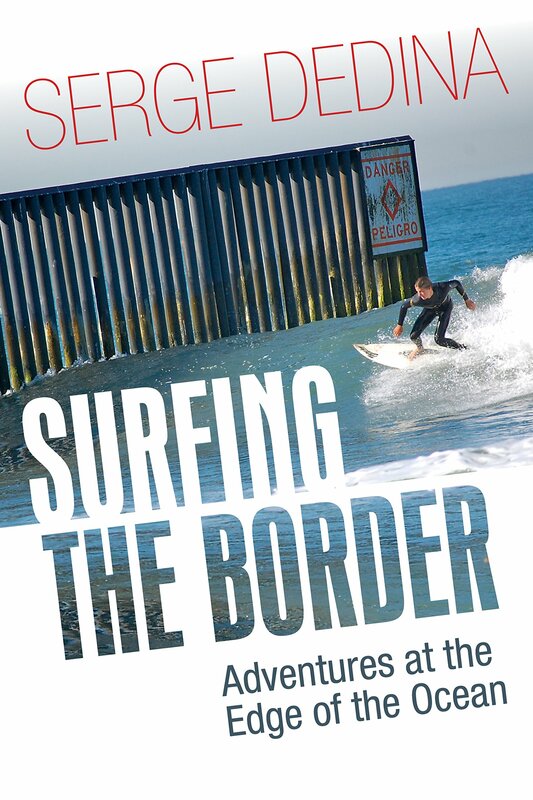 I traveled to the Riviera Nayarit, the name for the coast north of Puerto Vallarta, to give a talk in Sayulita, a coastal village known for its artsy surf vibe and boutique and gallery lined streets. Half an hour after my arrival Darrin and I were surfing 2-4’ rights and lefts with a few friendly locals somewhere on the way out to Punta de Mita, a theme green headland that forms the northern terminus of Bahia de Banderas. The waves were similar to Church’s at San Onofre. The tropical foliage and white sand beach reminded me of Kauai and southeastern coast of Australia. After about an hour and half, we returned to the truck and headed north to Sayulita on a small highway that meandered through the rainforest. 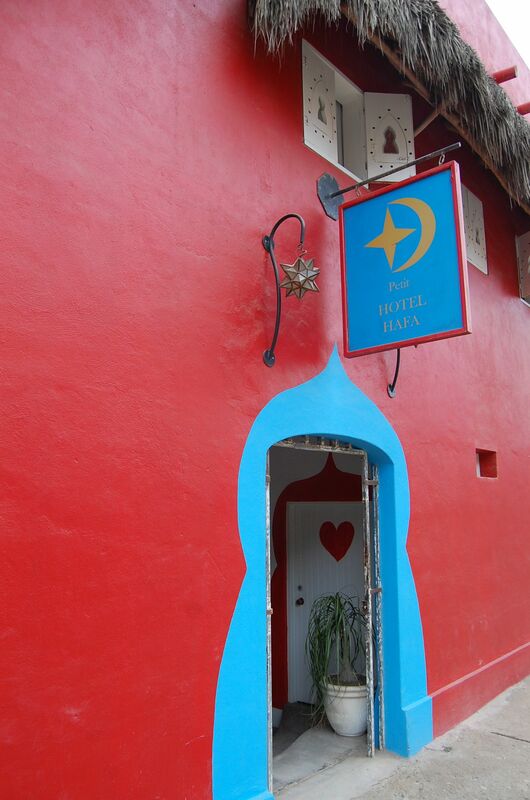 Upon our arrival, Darrin dropped me off at the brightly colored Petit Hotel Hafa, owned by Christophe and Marina Mignot. 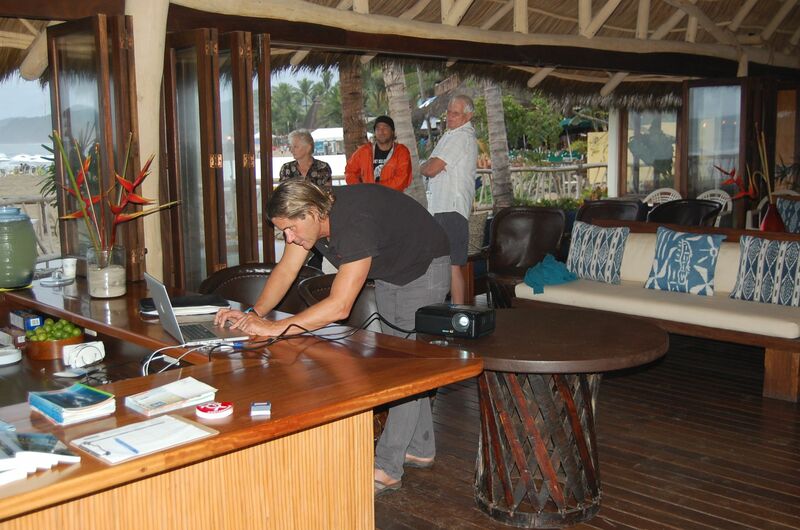 Just a couple of blocks from the beach, the Hafa has free Wi-Fi and simple but clean and tastefully decorated rooms. Marina, who is from Mallorca, has installed a little boutique on the ground floor of the hotel with surf and nature inspired art and jewelry. 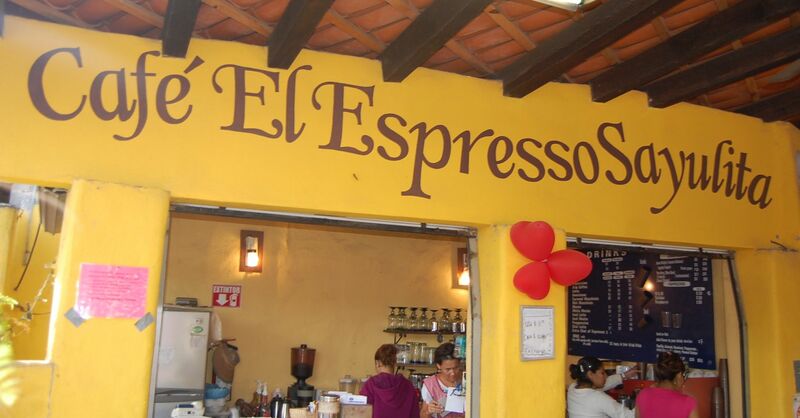 The following morning, I walked around the corner from the hotel to the Café El Espresso Sayulita. After sipping a double espresso with just the right amount of foam, I strolled down to the beach to check the surf. Nearby, local fishermen were readying their pangas for a day of fishing. 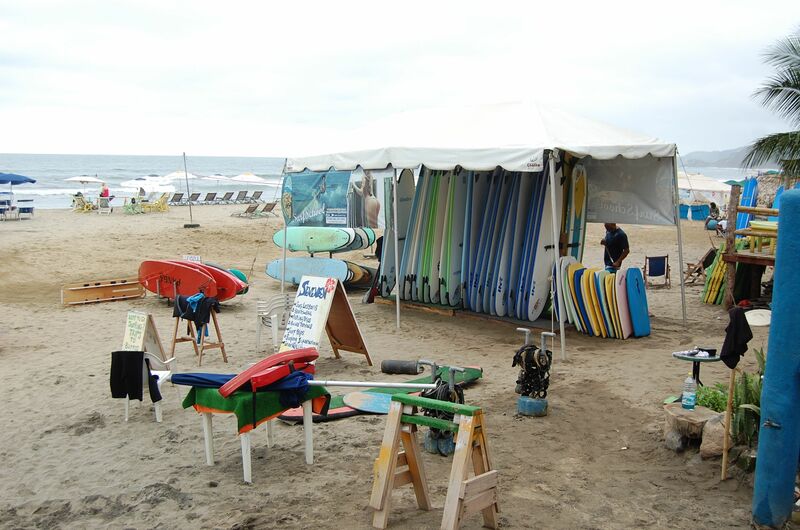 Down the beach, the operators of surfboard rental companies were setting up their boards and umbrellas. With a mellow cobblestone reef point in town, Sayulita is the perfect destination for beginning surfers or surfing families. 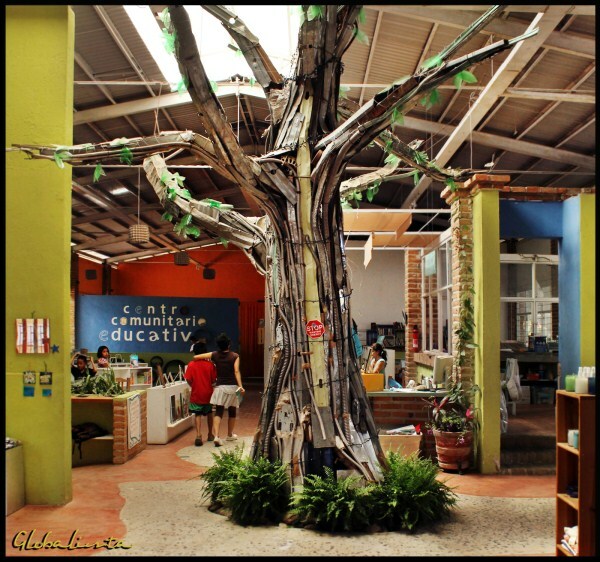 I first visited Sayulita a decade ago with my wife Emily and our two budding surfer sons. Israel my oldest son had just learned to surf. “I got my first barrel in Sayulita,” he remembered. We spent the entire weekend surfing and playing in the waves. The town really hasn’t changed that much since then. There are just more boutiques, galleries, hotels and great places to eat. It was too windy to surf, so I walked over to meet Kevin Roberts of Punta Sayulita who grew up in Coronado and is developing an Indonesian/Hawaiian style residential village just south of town. 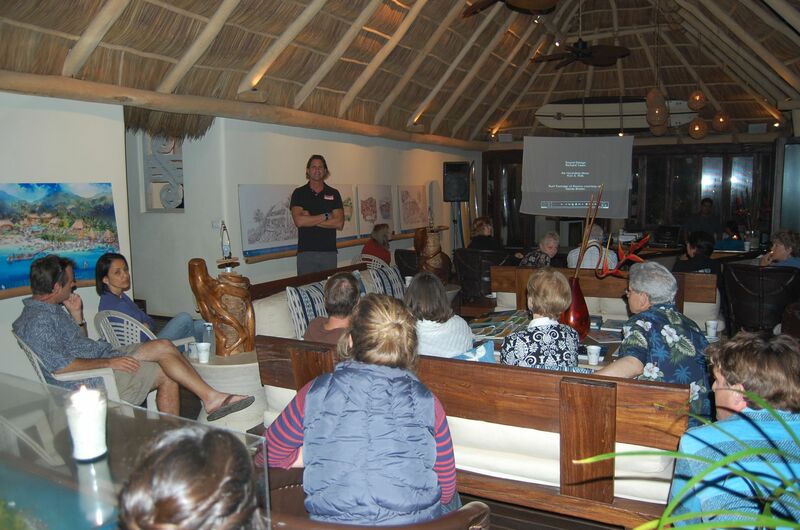 Kevin was the host for my lecture that evening and is one of the organizers of the 3rd Annual Punta Sayulita Longboard & Stand- Up Paddle Classic that will be held on March 9 – 11. “Over the past two years, the Punta Sayulita Classic has developed into one of the premier surfing and stand-up paddle events in North America,” said Kevin. Later that day Darrin picked me up to search for surf. Once again the wind didn’t cooperate. Just a few miles north of Sayulita, we turned into San Francisco (the locals call it San Pancho), an earthy coastal village that has become a new-age destination. Huichol women in brightly colored dresses sold jewelry on the tiny malecon. Beautiful murals depicting the town’s agricultural and indigenous legacy surrounded them. We visited the Entre Amigos Community Center, a brightly painted brick building in the middle of town. Local children were reading in the public library and working on art projects. After my evening talk on conserving Baja’s coastline and showing the documentary, The Baja Wave Document, at Punta Sayulita, I sat down to dinner at a restaurant on the town’s colorful plaza with Paul Van Fleck, a photographer. Paul is a longtime friend from Coronado who had previously lived in Imperial Beach and Todos Santos in Baja. 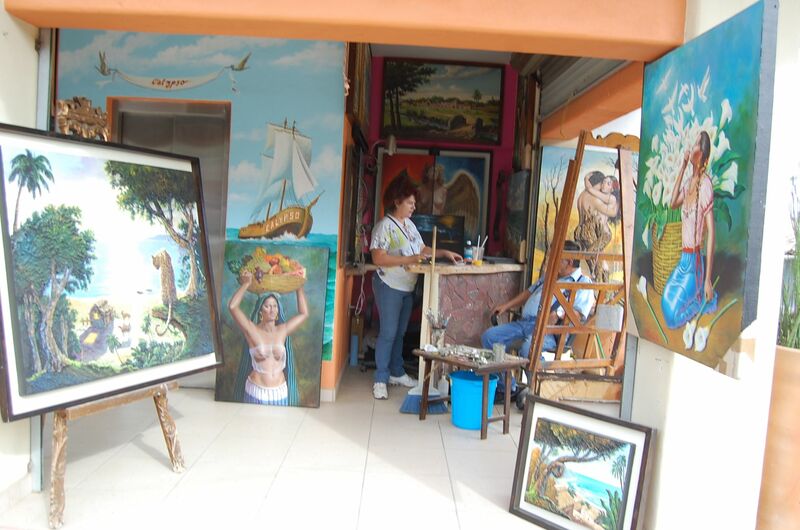 He keeps a small studio in Sayulita and as well as a place in Puerto Vallarta. 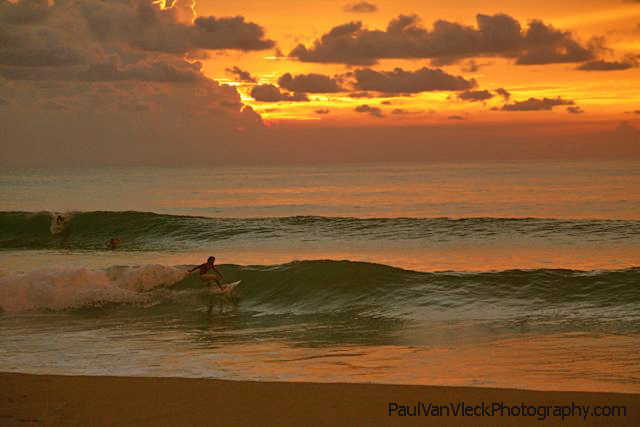 “I love surfing here,” said Paul. Prior to catching my flight the following day, Darrin drove me to another surf spot on the road out to Punta de Mita. After a short walk through a tropical forest, we emerged on to the beach to find waist-high surf and glassy conditions. Darrin and I shared wave with a few tourists on longboards and sea turtles swimming around the reef. It was a good omen and a great way to end my short time surfing and exploring in and around the magical coastline of Sayulita. 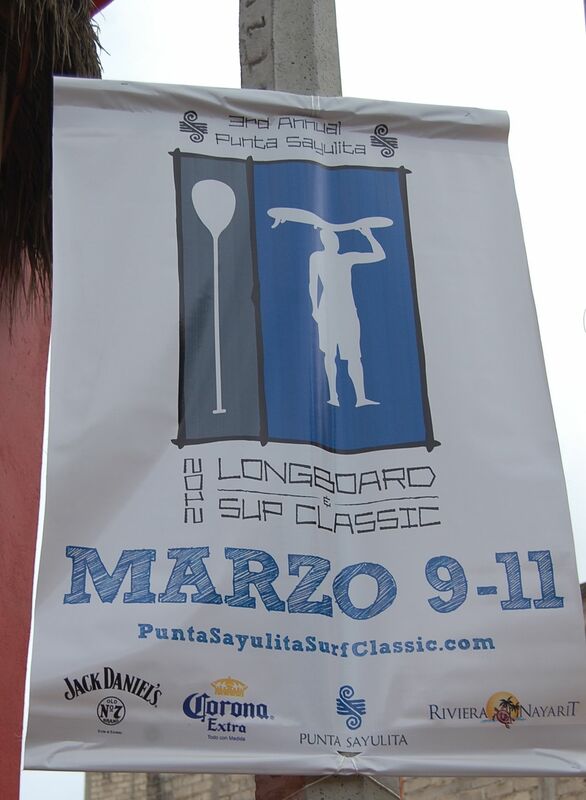 Sayulita is host to a major SUP and Longboard contest. My hotel the Petit Hafa, was a nice simple "boutique" hotel. I love staying in places like this. Much more comfortable and easy to hang out in compared to a big resort hotel. 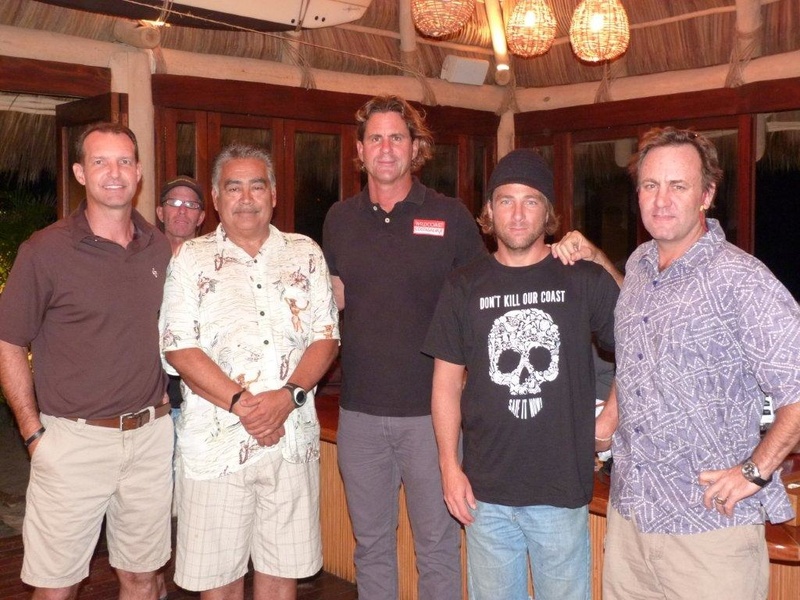 Surfing is a big business here with tons of locally owned surf schools. 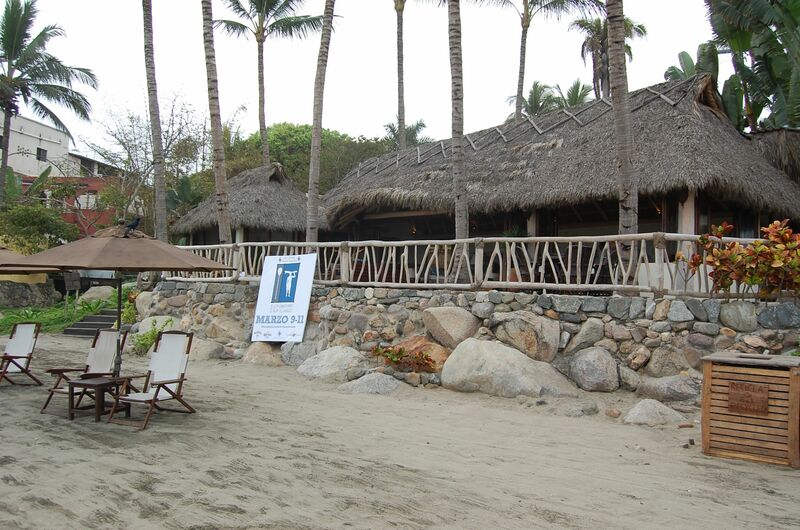 The Punta Sayulita office and casita where I gave my talk. Couldn't think of a nicer place to give a talk. Answering questions--a great group showed up. Kevin Roberts at left of Punta Sayulita hosted me. He grew up in Coronado. That's Paul Van Fleck of Nado-IB-Baja-Sayulita just next to Kevin (heading poking out), Robert "Chuy" Madrigal a longtime tourism and surfing consultant in Mexico, and Darrin Polischuk is to the right of me. Darrin is a longtime friend from Baja who has helped out Wildcoast for years now. 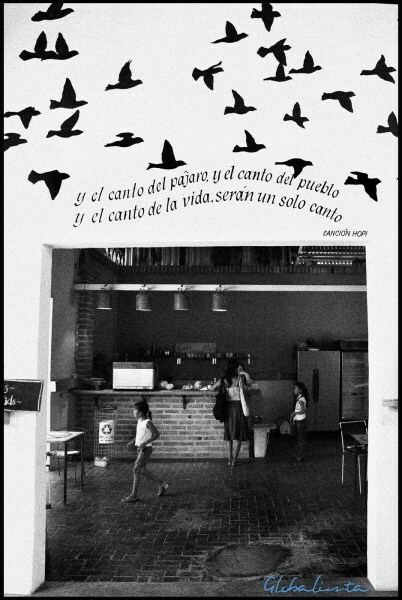 The cafe around the corner from my hotel and on the main plaza--excellent espresso and good simple, healthy food. My kind of place. Lots of galleries and boutiques in town. 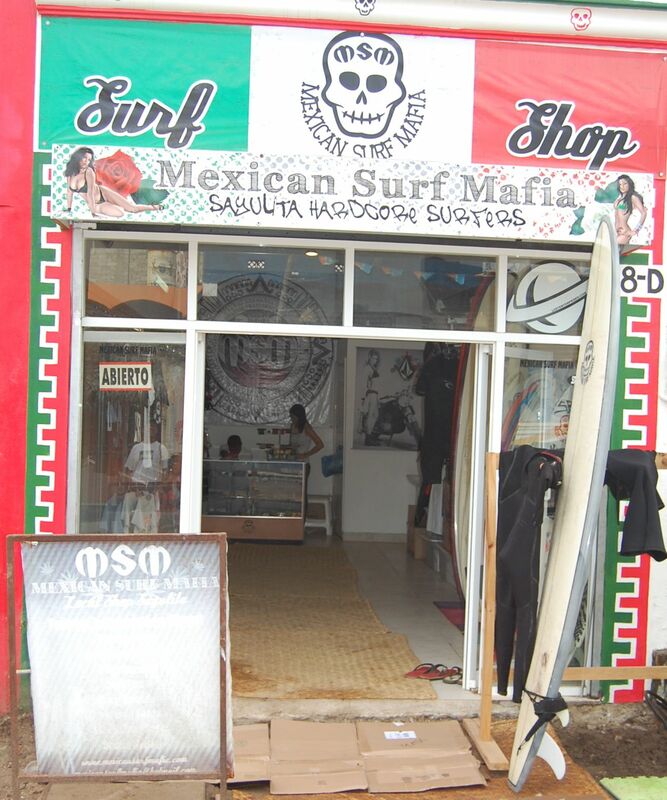 This surf shop has what are arguably the coolest surf t-shirt designs of any shop in Mexico. 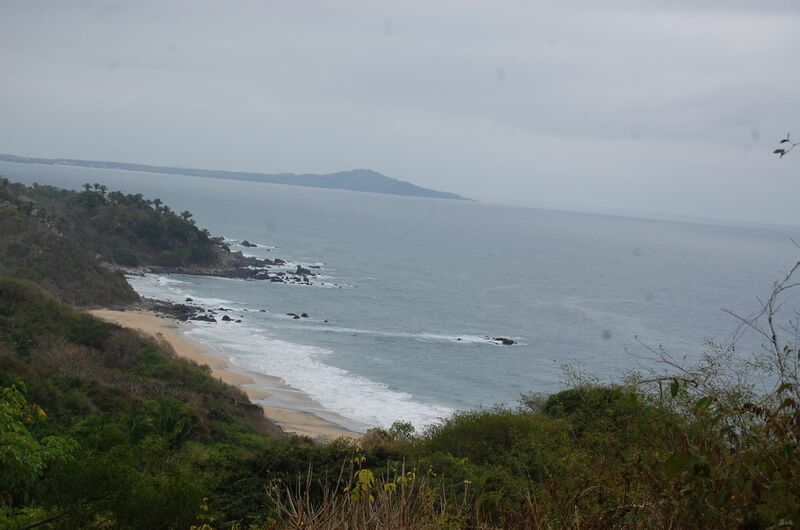 The coast south of Sayulita looking to Punta Mita. This is a beautiful coast and biogeographically the southern end of the Sea of Cortez. The surf is pretty gentle along here with reefs and white sand beaches in some locations.